I took my first trip to the fabric district with my mom a few years ago and Michael Levine was the first place we went. The store is a good size with every kind of fabric you could want. I got my green sequin fabric there, along with my gold and black faux leather, plus a bunch of other fabric that is currently sitting in my stash waiting to be sewn. They also have a large home decor fabric store in the fabric district, as well as ML Loft (across the street on the second floor), which is where they toss all their scraps. You have to dig through the bins of fabric, but it’s weighed and sold by the pound, so you can find amazing fabric for super cheap. And even though it’s “scraps,” you can still find decent yardage. Plus, they also sell solid knits here as well, also sold by the pound. And the best news is that if you don’t live in California, Michael Levine is all online at lowpricefabric.com. When I first started sewing more regularly, about 5 years ago, I purchased almost all of my fabric from Fabric.com. It’s hard to buy fabric online, but they have a really great selection and their site (which used to be super difficult to navigate), seems to be in prime working order now. Plus you get free shipping on orders over $35…and who even buys less than $35 worth of fabric ever??? I bought my navy and white polka dot fabric for this maxi skirt from here, as well as the cobalt fabric for this greek goddess maxi dress. Plus a bunch of other fabric that’s still in my stash. If you watch Project Runway, you know about Mood. It’s the go-to place for super high quality apparel fabric. Their prices are higher, but their selection of good quality and beautiful designer fabrics is unmatched. If you’re totally sick of solid colored knits or brightly colored quilting cotton that you find at pretty much every other fabric store, you will love Mood. If you make something out of fabric from here, it is pretty much guaranteed to not look homemade. My mod shift dress and my midi pencil skirt are both from here, both of which I picked up at their location in downtown LA. But they also have a great selection online at Moodfabrics.com. I hesitate to mention this one because it doesn’t have an online shop, but it’s really my very favorite place to buy fabric so I had to include it. If you go to the LA fabric district, this store is a must. They have a huge selection, and it’s almost exclusively apparel fabric; plus, it’s all around $2/yard (I think the most I’ve ever paid for yardage there is $5/yard), and they often give you a discount or will negotiate your total price if you pay with cash. This is where I picked up this blue and coral animal print fabric, this gold polka dot knit, and this lightweight coral striped knit. As far as apparel fabrics go, Jo-Ann has the very smallest selection, and they’re often much higher in price than these other shops for a lower quality fabric. But I still shop here often when I’m in a hurry and need something immediately. I also get all my notions here — just make sure you use their app so you can always have a coupon with you! Local shops often have a good selection that you couldn’t find elsewhere. My favorite is a shop called Jenny’s here in Huntington Beach (they also have a location in Anaheim for you locals!) They have a great selection of cotton prints, but also home decor fabrics and even a stack of great solid knits (for pretty cheap) in the back. I bought my windowpane fabric here, as well as both the fabrics for my floral contrast-back dress. I also know seamstresses that thrift their fabric (Liz and Kilee are champs at this), so if you don’t have a good local shop, check the thrift stores! I was just introduced to this shop a few months ago when I worked on a project with Pattern Anthology. The shop is small, but it has great fabrics, and great prices. I got the black and white striped fabric for my Parisian top here, and the green knit for my summer swing dress. As if you didn’t have enough reasons to love IKEA, they also have fabric! Almost all of it is home decor fabric, so it’s thick and hefty, but in the right situation it totally works. I bought my thick black and white striped fabric for my box pleated skirt from here, and I think a gingham skirt with this fabric is next on my agenda. None of the fabric (as far as I know) is available on their website, but they usually have a huge selection in the store and it’s all self service so it’s easy to grab it and go. Thanks for the tip!!! I've been looking at tutorials all week because I plan on sewing couple of outfits this summer. I've only used my machine to hem curtains, but I want to start making my own clothes. I need to take a trip to fashion district 🙂 or check out Jenny's fabric. I work in Orange so it's pretty close! What a great list! Bookmarking this now! The Anaheim one is called M&L. this is excellent! thank you! I've only ever been to mood. I'll have to visit the others with my nana this summer. awww shucks wish i had these options in my town! My sister introduced me to Fabricworm.com last fall. I love their fabrics because they are very modern (pretty much the opposite of Joanns). One thing I learned the hard way-they don't keep anything in stock for very long so if you see something you like, buy it! Excellent, The above store is too good for purchase any textile fabrics products. F & S Fabrics on West Pico is a great resource too. Have you ever tried Connecting Threads.com? They have great fabric, thick with a little stretch in it for making clothes starts at $4.96 a yard they also have thread 1200yard spools $2.95. Is the address on Yelp the right one for Angel Textiles? I clicked the link above and it had an address but I recently went to the fabric district and tried to find the store at that address but it wasn't there! In it's place was some other fabric store who would only sell fabric by the whole roll (70 or 80 yards). Do you happen to know where I could find that store? It sounds amazing! Thanks!! G Street Fabrics in VA, MD & DC are great….much better than Jo Anne's! G Street Fabrics in VA, MD & DC are great! Question — I live in LA, and on my most recent visit to the fabric district, I tried to find Angel Textiles ($2/yard sounded too good to be true) but couldn't find it!! I think that yelp link maybe had the wrong address…? women owned and operated business and we operate strictly in the USA. Take a look at our site…I hope it is helpful! Thanks again! Fashionfabricsclub.com By far the best online (or offline) source that I know . . . and I buy a lot of fabric. Great selection and prices. Just gotta say….Joann’s is the worst! No imagination found in this store. Get your notions and go! I agree. Fabrics are cheaply made. Ni longer get fabric there. Joann is known for poor quality fabric and consistently horrible customer service! With all the different locations everybody is from, just curious about the average price you pay for a yard of fabric. I’ve noticed I’m having to go over $6/yd. these days for my quilting fabric. How about you? It totally depends on which store I buy from. 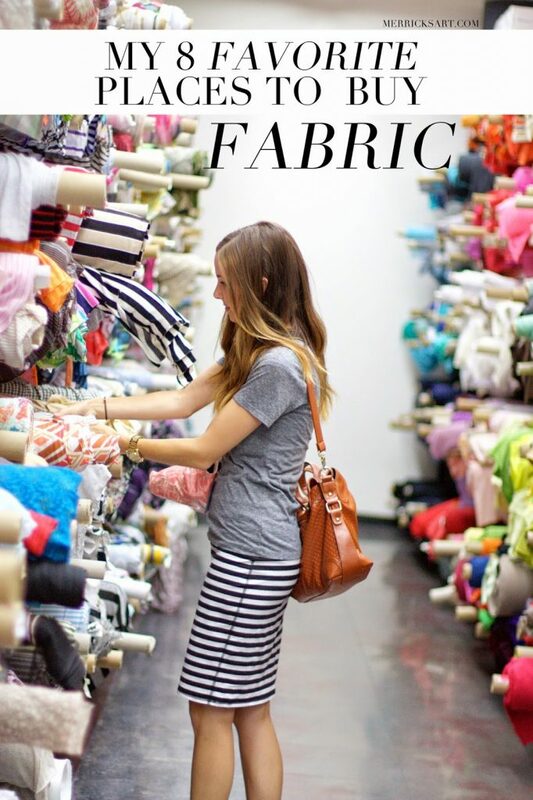 The LA fabric district averages $2/yd, where my local mom and pop shops are more like $6-8/yd. Don’t be sad! http://www.girlcharlee.co.uk is now available for shipping to the whole of Europe so you can get all your knit fabrics without expensive shipping or import duties! We also offer 10% off your first order. Thanks so much for featuring Girl Charlee on your list. Just to update you, http://www.girlcharlee.co.uk is now supplying high quality, exclusive knit fabrics to Europe. We offer cheap shipping and 10% off your first order. We also offer Free Shipping on orders over £50 to the UK. Happy Sewing! We are one of the wholesale Fabrics Supplier base on New York. We supplies in Designer Fabrics including Beaded/Bridal Lace, France Lace and other fabrics. Have a look at fabricspark.com. I humbly boast that we have the most beautiful fabrics of them all and we ship worldwide. We also have fun. 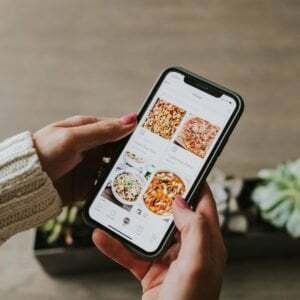 There are lots of online shopping sites selling fabrics of different types, but for cotton , georgette and crepe printed and plain fabrics, I think muteyaar online shopping store is the best option as one can get quick delivery of order around the world at best price from muteyaar. First of all gotta say, LOVE this website! As far as fabric shopping goes, I know how tough it is to find just the right fabric sometimes. Have you ever checked out weaveup.com? You can customize the designs to perfectly match your color vision and even adjust the scale of the print for different effects! Amazing list, Thank you! I have already made an order from one of the featured shop. Hope it will arrive soon. I’m also looking for linen shops like http://www.mylinenfabric.com/ for my Christmas market crafts, any suggestions? Check out this linen — I think it’s so gorgeous! It’s very clean and simple and could go so many different directions. That heavy fabric is great for tote bags and sofa pillows! I have even used it for skirts if the pattern was right. Try Denver Fabrics [ It is in St Louis mo] NOT Denver Colorado. I have purchased some really nice fabrics there, and occasionally they have good specials TOO. I AM JUST GETTING GOING. BUT I LOVE YOUR SUGGESTIONS ETC. Polyester Fabric is a synthetic cloth material that offers outstanding durability, insulation, and wrinkle resistance.Polyester is used to make the most of the clothes, home furnishings, industrial fabrics, computer and recording tapes, electrical etc.Polyester fabric will get it from easily Rise Textile.